Initiate a free consultation: call 1.800.410.5054 or CLICK HERE for a Free Consultation from one of our Public Adjusters. We are the hometown public adjusters for residents of Levittown, Bristol, Bensalem and surrounding towns in Bucks County. The zip codes we serve include: 19054, 19055, 19056, 19057, and 19058. We guarantee great service that will not only maximize property claim settlements, but will also save you money in the long run. If you are in need of a professional public adjuster, just remember that we are only one phone call away! As a professional public adjusting firm of Levittown, Bristol and Bensalem, AAA Public Adjusters has one goal in mind for our customers! 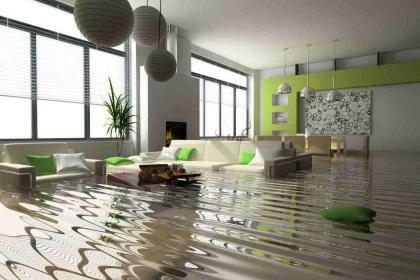 We make sure the insurance company pays you the monetary funds needed to rebuild any damage sustained to your property. Whether you had damage to your personal home or business, we make sure you are taken care of to get you back on your feet! While working to protect the local homeowners and business owners, we manage their claims while fully documenting any evidence of property loss. This high level of service will maximize the settlement returns involved with the insurance claim. By hiring AAA Public Adjusters, you can easily reduce the emotional stress and financial burden surrounding the effects of unforeseen property damage. As your public adjusting firm, we will address all of the insurance claims involved with property damage. Each claim is unique, and our public adjusters are experienced in handling many different scenarios, working diligently to handle your specific claim. In the last year, have you experienced an insurance loss, but have not yet filed a claim? Give AAA Public Adjusters a call today for a free initial consultation! After discussing your claim with you, we will decide if it is the right choice for us to come out to your property to inspect the loss for ourselves. This inspection service is free! We have inspected many homes and businesses throughout Bensalem and Bristol in our firm’s history. By contacting us early on in the process, the better a chance you have of meeting all of the necessary obligations under your property insurance policy. At any point during the claim process, AAA Public Adjusters can intervene to ensure the claim gets resolved quickly. To make sure your claim gets the attention it deserves, our public adjusters work with representatives of your insurance company. We do not accept payment for our services until you are paid for your insurance company. Have you recently settled an insurance claim? You may still be able to open it for additional benefits. As a professional public adjusting firm of Levittown, Bensalem and Bristol, we will take a look at your settlement and determine if you are entitled to additional benefits. This service is completely free! We always have the best interest for our customer, having successfully handled hundreds of insurance claims in the Levittown area that have already been closed. Its not the end of the road if you’ve had an insurance claim rejected by your insurance company. In fact, insurance companies are known to routinely reject covered claims. If your claim was rejected less than a year ago, AAA Public Adjusters can determine if the rejection of your claim was fair. We have successfully reviewed hundreds of claims that were denied due to error. Let us review your denied claim! We are on your side! Give us a call today for your free consultation. We’ll discuss the claim with you, and whether it makes sense to use our services. We may also decide it is best to come to your property and do an inspection of the loss, which is also free. Contact AAA Public Adjusters. The Leading Public Adjuster Firm in the United States. Largest in the Tristate Region.